Lanseria to Cape Town is cheaper! First the first time ever in our survey it's cheaper to fly from Lanseria Airport to Cape Town than from OR Tambo Airport to Cape Town. We looked at flights from Johannesburg to Cape Town leaving on the 10th August 2007 between 1819 and 2036, and Kulula flight MN455, costing R443, was the cheapest; the flight leaves Lanseria Airport in Johannesburg at 2000 and arrives in Cape Town at 2210. The airport taxes included in the R443 plane ticket is R39 for a flight leaving from Lanseria Airport, and is R52 for a flight leaving from OR Tambo Airport. "Compared with what I underwent at Abu Dhabi Airport, I felt like a queen at Manchester, where officials went out of their way to help me. It makes you wonder who our real enemies are, those to whom we feel an affinity as Muslims because they are our brothers and sisters in Islam, or those in the West who clearly know more about humanity." Interlink Airlines is a small airline operating flights in between Johannesburg and Nelspruit, and flights between Johannesburg and Cape Town. 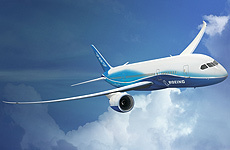 We have now fully incorporated Interlink Airline's flights on the SouthAfrica.TO website - we wish them well. For those travelling to Johannesburg, we have updated our page on the city to include a list of the top ten things to do in Johannesburg. From the 27th June 2007, British Airways South Africa (run by Comair) have increased their flights from Johannesburg to Mauritius to two weekly. SAA have added 3 additionaly weekly flights from Johannesburg to Sao Paulo (Brazil), bringing the number of weekly flights to ten. The new flight leaves Johannesburg on Mondays, Thursdays and Saturdays at 1430 and lands in Sao Paulo at 7.1950 on the same day. Our condolences to Khaya Ngqula (South African Airways' chief executive) who's baby daughter drowned in a Durban North swimming pool on the 5th July. The child was the SAA boss's fourth, but his first with his wife - former beauty queen Mbali Gasa (who is 19 years younger than Khaya). Gasa and Ngqula got married at Ngqula’s home in the Eastern Cape Province of South Africa in November 2005. The airline boss got the Eastern Cape government to tar 10 kilometres of road leading to his village to ensure his guests arrived smoothly. Direct flights between South African & New Zealand? Kiwi rugy players have a rough time flying from New Zealand to South Africa, and as there are no direct flights between the countries it just makes the flight that bit longer. This may change. Air New Zealand has put in an order for eight Boeing 787 Dreamliners, which are smaller than Boeing's 747 but have a similar range. This will reduce the need for Air New Zealand to stop off in Australia and top-up on passengers. Air New Zealand are considering direct flights between Johannesburg to Auckland. If the All Black weren't already good, they're going to be unstoppable without the jet-lag! The first of the new planes are being delivered to Air New Zealand in 2010. Considering that the term "terror" denotes a state of mind, it's an interesting concept to be waging war on terror. Semantics beside, the price of terror attacks is not to be found solely in a frantic state of mind. In the wake of the Glasgow Airport terror attack, passengers at New Zealand airports on US-bound flights will be randomly tested for explosives. 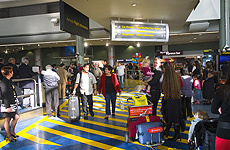 On the 8th July Cape Town's domestic airport was evacuated due to an unattended bag, delaying flights by some 40 minutes. Incidentally, it's come to light that there wasn't a single armed policeman at Glasgow Airport on the day of the attack (but then they didn't need one with Glasgow strongman John Smeaton around). A relative of a terrorist, has been questioned about video footage he had of Edinburgh Airport. British Airways are running a number of flight specials until the 17th of July, and inspired us to run a survey of flights from London to Johannesburg. This comment by CE on our Nationwide Airlines site: "Nationwide don't see themself as being a low cost carier. That's what their managment said. Well it's brain teasing to me. No (free) food means low cost carier. 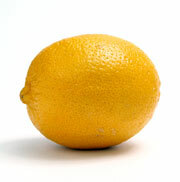 I would rather fly mango if i didnt want food, if I wanted food I'd fly SAA or BA. Nationwide sometimes are really expensive for Y class." In my varsity days the art students had something of a reputation. In the news this week 2 sixteen-year-old girls were arrested in Ghana for allegedly trying to smuggle large amount of cocaine into the UK. The teenagers had told their parents they were going on a college trip to France. The girls, from Islington, North London, who are (or I would say were!) art students, left London on the 26th June and were travelling back to the UK on a British Airways flight when they were arrested.